"Under Construction. 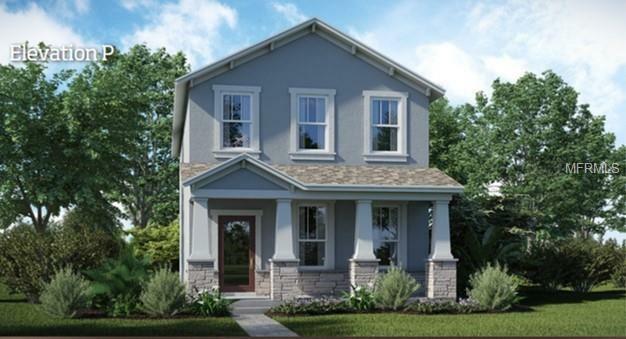 This stately & innovative two story home includes three bedrooms, two and a half bathrooms and a two-car detached garage. The upstairs tech area gives families additional space and the downstairs foyer provides a welcoming atmosphere. There is a large family room that leads out onto a covered patio where family members can relax and enjoy the view of their backyard. Storey Park is unlike any other in the Orlando area! We will have a resort pool, lap pool, 2 splash pads, a Jacuzzi spa, a state of the art fitness center, a food pavilion, tennis court, a big playing field for football or soccer games, walking trails, dog park, camp site and our own town center and so much more!! Not to mention all A-Rated schools! So, stop by and see why you will want to be part of the fastest growing, most sought after area in all of Orlando!